I’m an Abstract Expressionist first and a storyteller second. Color, texture and pattern are the elements of my work. 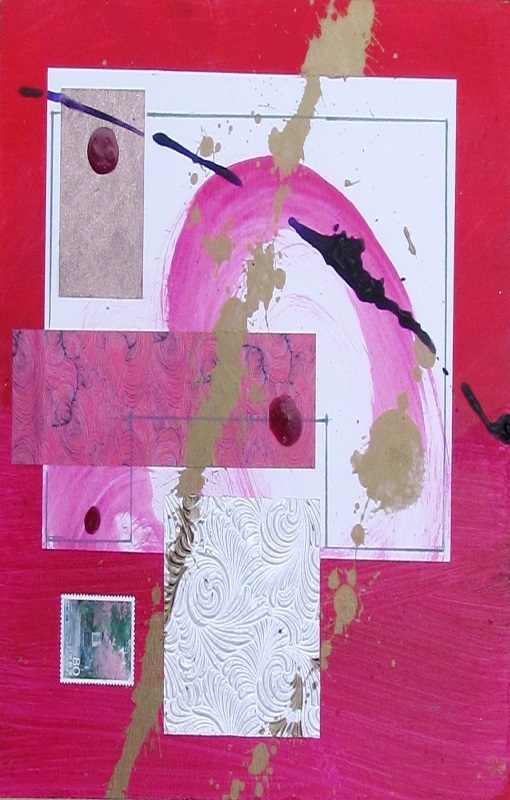 My images are created on acrylic painted board or paper with a collage of papers, photos, found objects, ink, whatever has my creativity going at that moment. So much is driven by a love of materials and great papers. 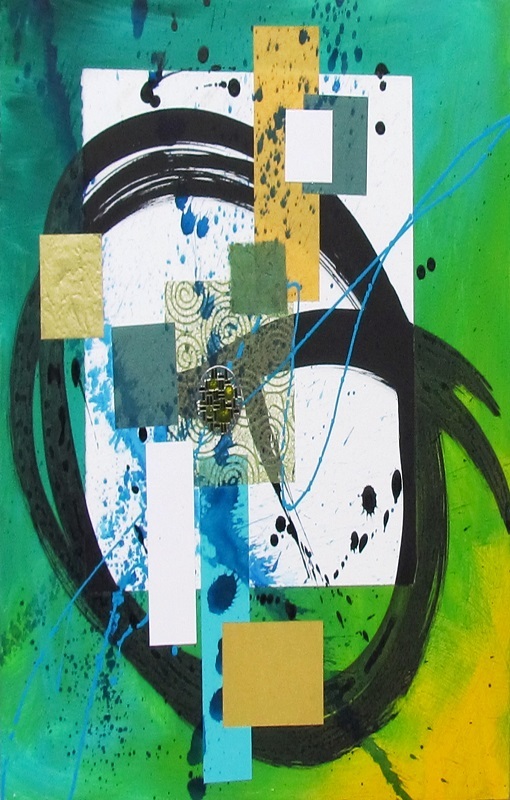 Wendy Foster – an Abstract Expressionist first and a storyteller second! I’m frequently asked, “What is it?” or “What does it mean?”. I usually explain my inspiration: the play between two colors, a fascinating pattern on a truly exquisite piece of rice paper, an image caught out of the corner of my eye, something born of experimentation or accident. Sometimes it’s profound. Other times it’s just a lark. Generally I’m more concerned with the juxtaposition between the elements of color, shape and texture than whatever esoteric significance might be derived. I love when people walk up to a piece and draw their own meaning from my work. To some, it is very literal –an object, a feeling. But others see a whole universe of emotions. They describe an entire scenario that has meaning and validity to them. That fascinates me. Those people should be taking that work home because they have found something that speaks to them. Being an artist is something you are born to; its always been a part of my life and it’s such a privilege to be able to focus on in full time. I’m absolutely enchanted with the work of Robert Motherwell and the women of Abstraction; Helen Frankenthaller in particular. I am an abstractionist, drawing from emotion as opposed to subject. I was a print-maker for a long time and fell in love with papers. I love the juxtapostion of different textures and colors to create evocative pieces. I tend to work in series, creating several pieces at a time (probably a holdover from printmaking) Because my work develops in stages I tend to have many things in process and will work on as many as 20 pieces a day, adding a layer,adding some paint, messing with the compostion. 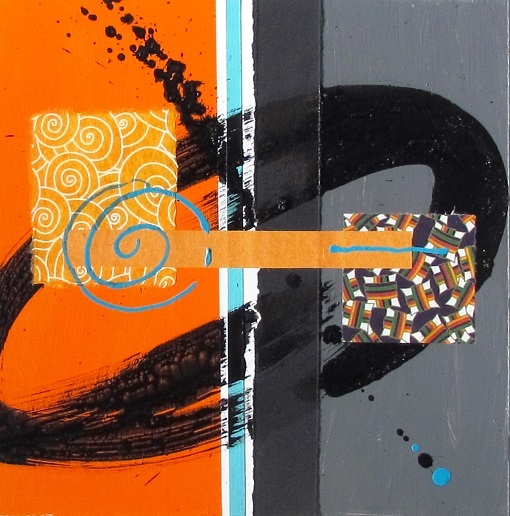 Two ways – I see something and I create it in the abstract or I become enamored with a color, a certain piece of paper, a found object and then I work a piece around it. 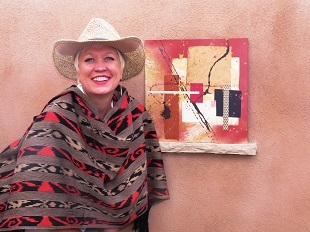 I have just sold a business and moved to Santa Fe in full-time pursuit of my art dreams. Scottsdale Arts Fest 2016, Sedona Art Show 2016.